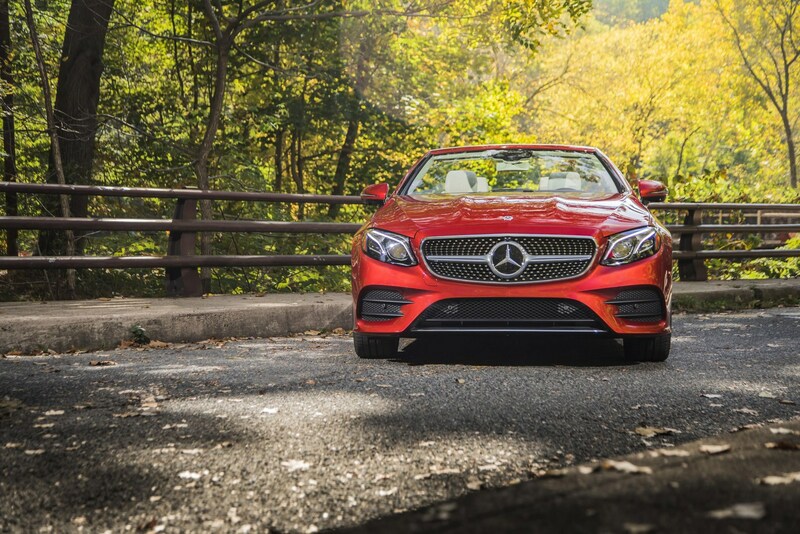 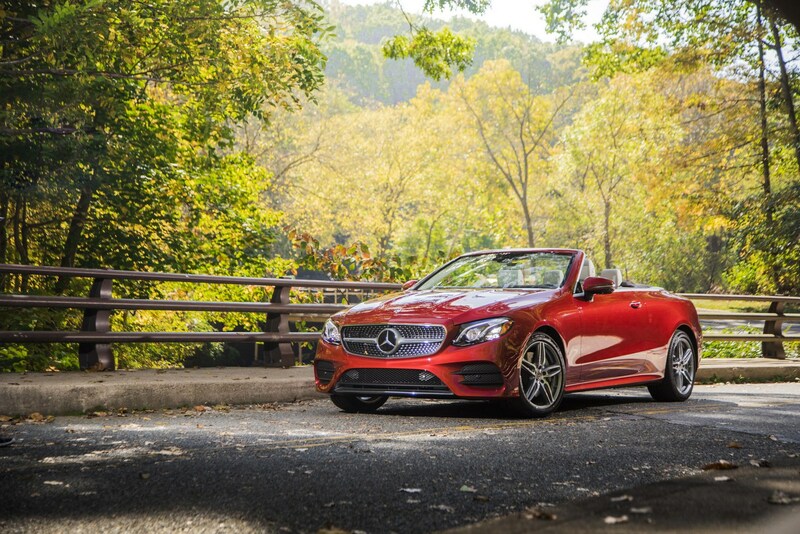 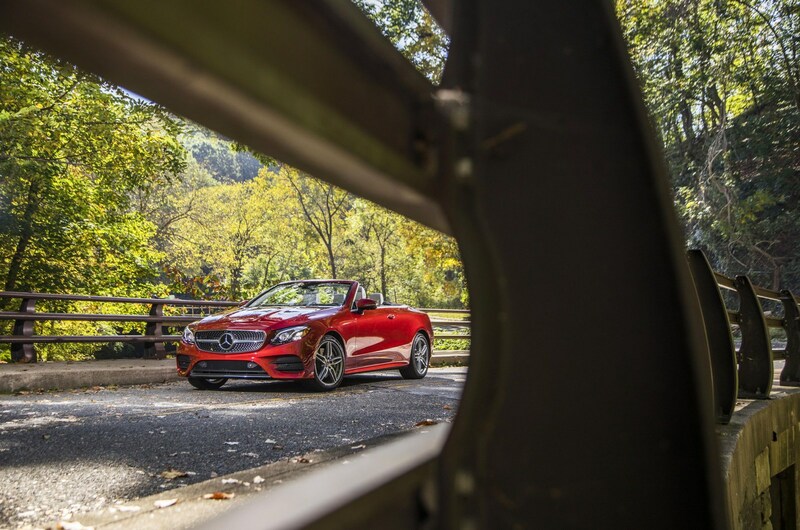 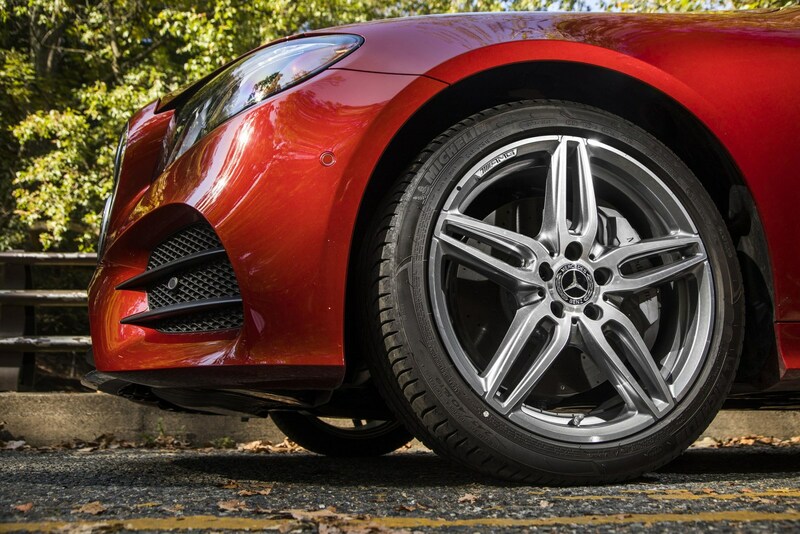 Winter is right around the corner but that hasn't stopped Mercedes from launching the 2018 E-Class Cabriolet in the United States. 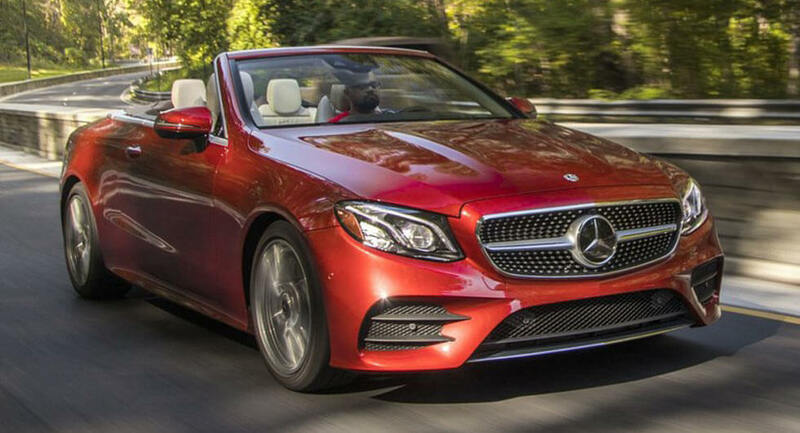 Set to slot between the C- and S-Class convertibles, the E-Class Cabriolet is being billed as a luxury drop top that combines "pure, elegant design with long-distance comfort for four occupants." 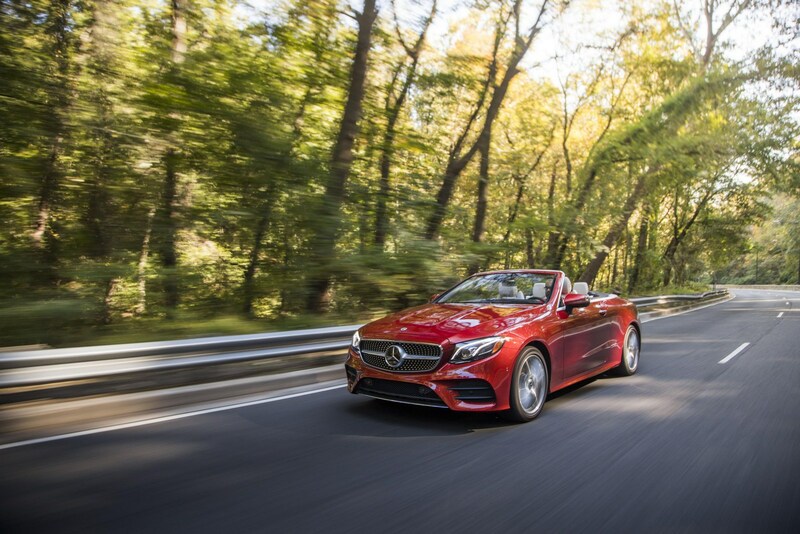 The car has a lot in common with the E-Class Coupe but the convertible is distinguished by a fabric soft top which is available in four different colors including black, red, dark blue and dark brown. 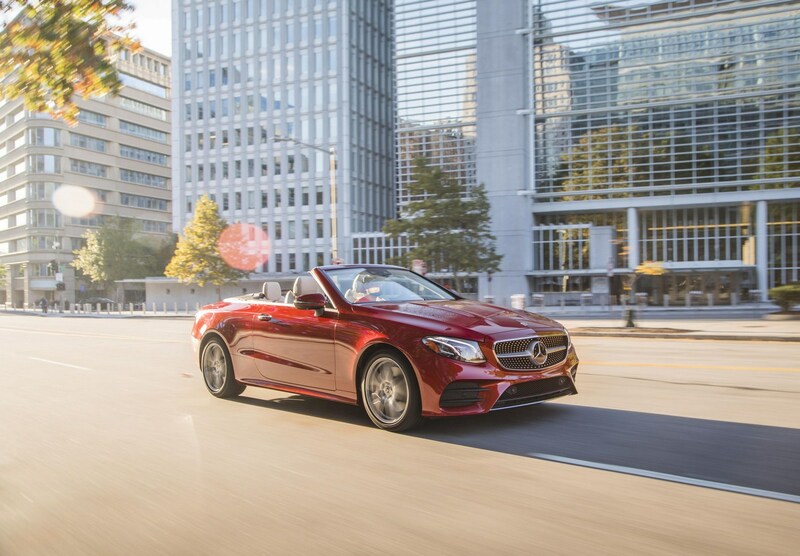 Regardless of which color is selected, all of the roofs are fully automatic and feature insulation that promises to reduce wind and road noise. 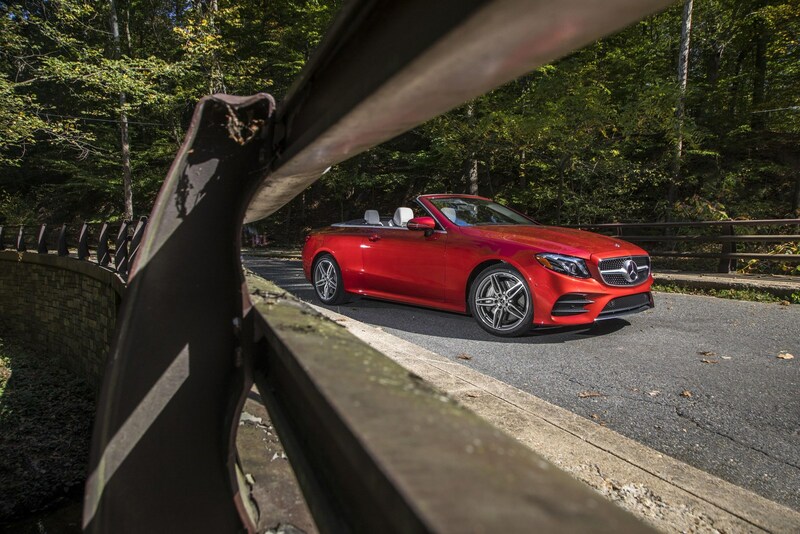 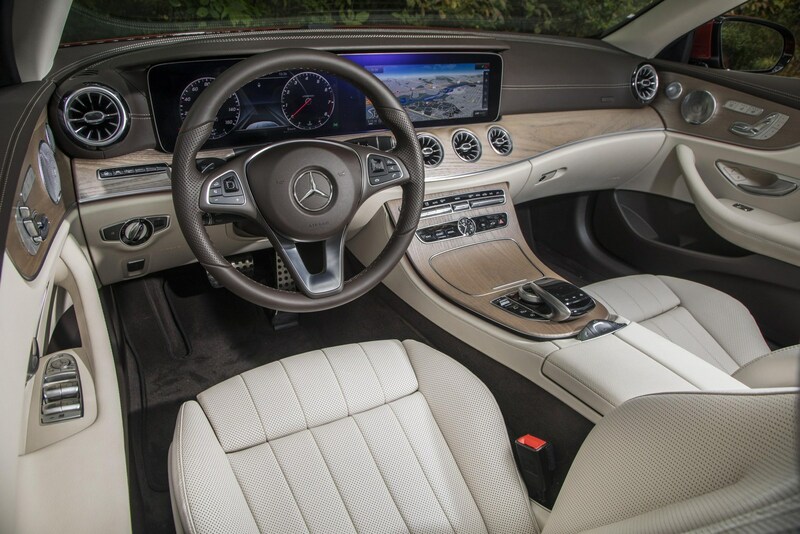 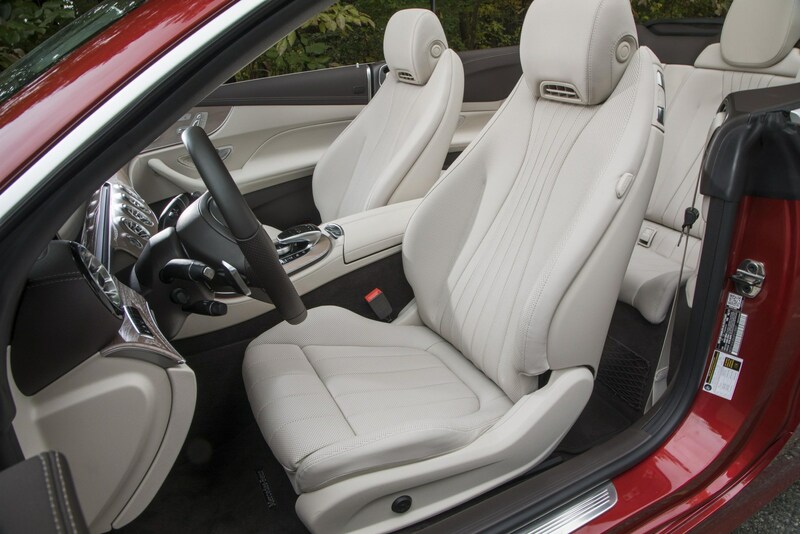 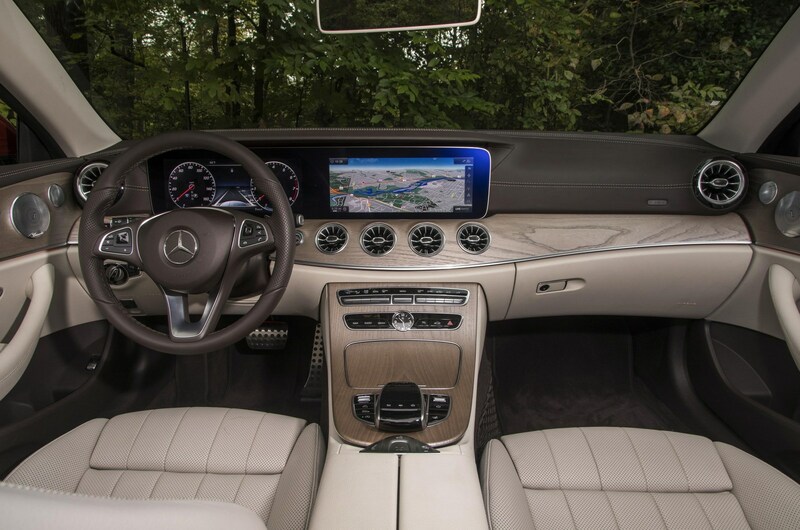 Besides the fabric roof, the E-Class Cabriolet can be equipped with heat-reflecting leather upholstery, an Aircap wind deflector, and an Airscarf neck-level heating system. 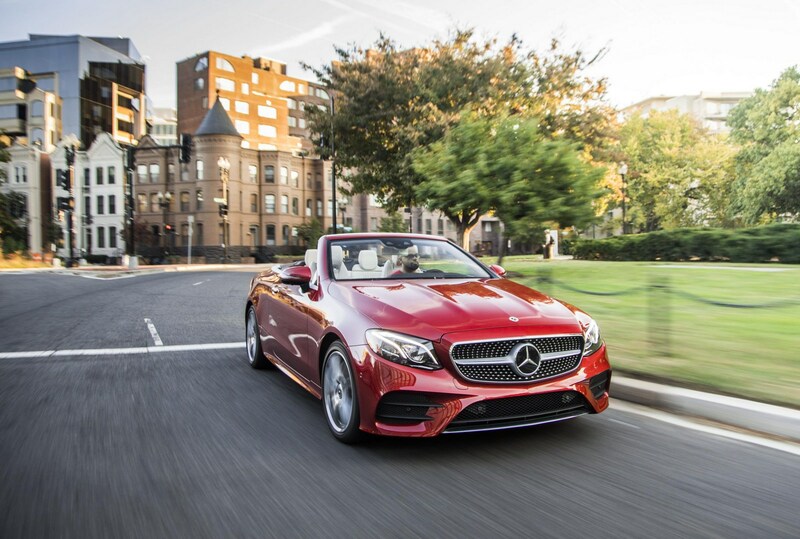 The E-Class Cabriolet is currently on sale and pricing starts at $66,300. 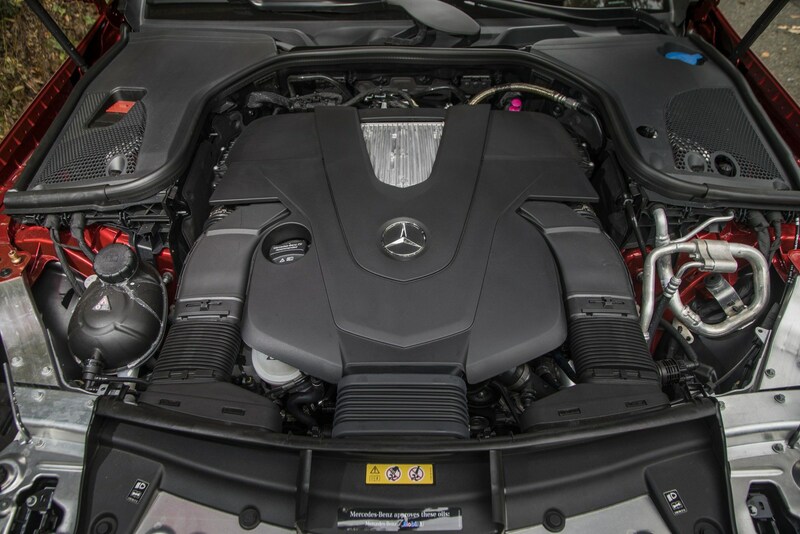 The entry-level model has a twin-turbo 3.0-liter V6 engine that produces 329 hp (245 kW) and 354 lb-ft (479 Nm) of torque. 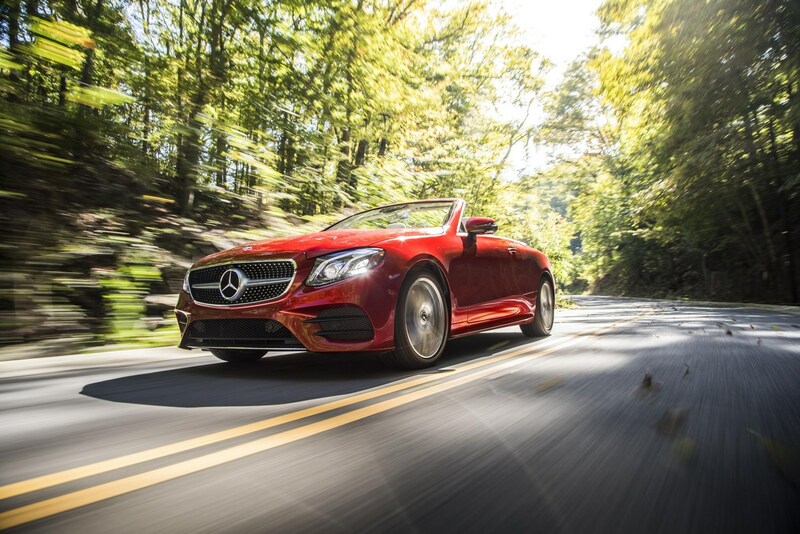 It is connected to a nine-speed automatic transmission which allows the car to accelerate from 0-60 mph in 5.5 seconds and return 20 mpg city / 26 mpg highway. 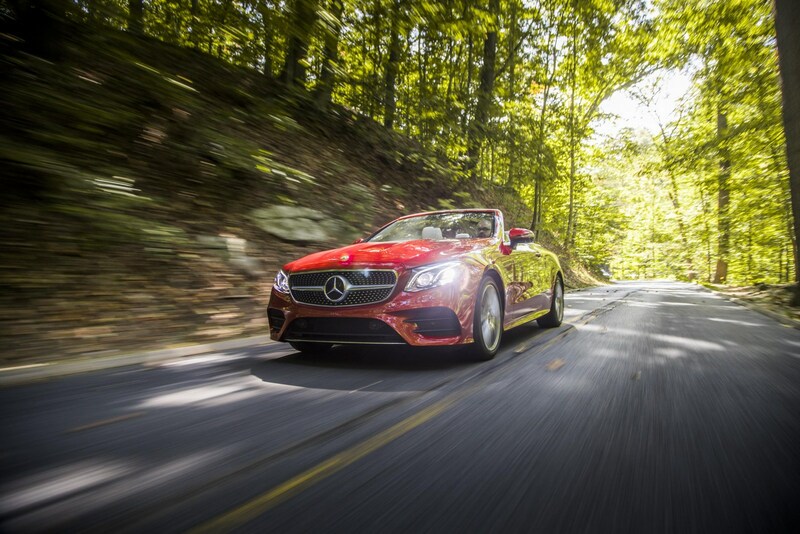 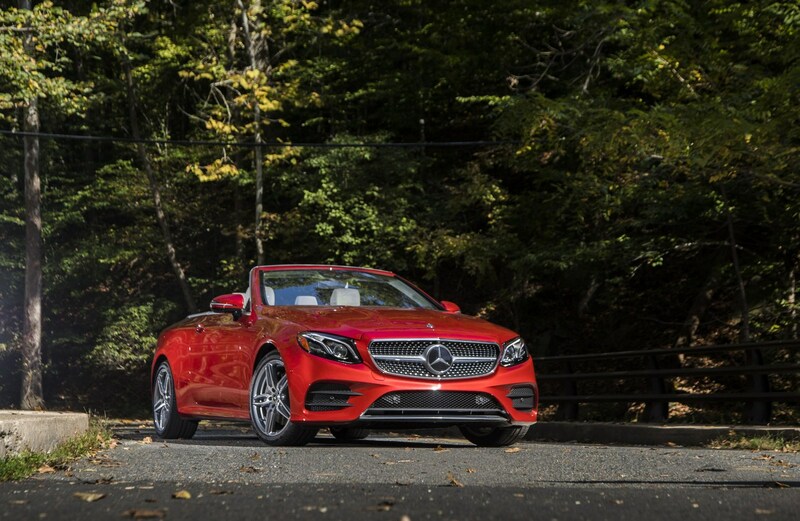 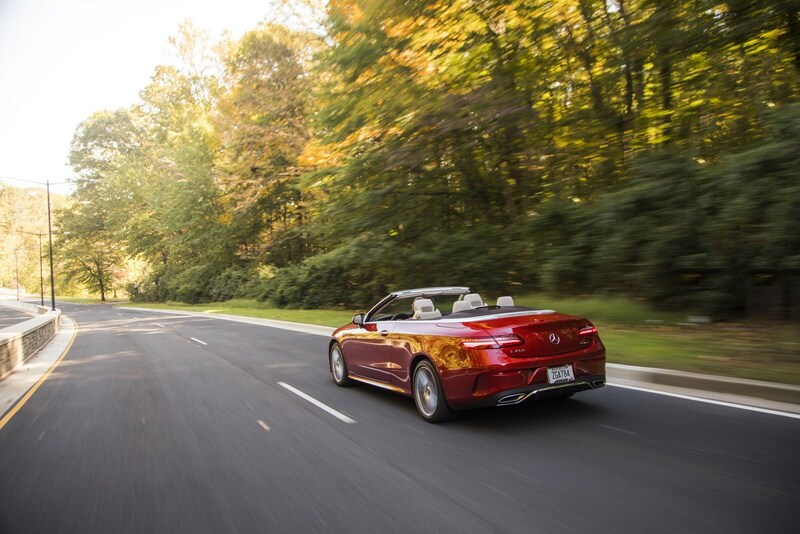 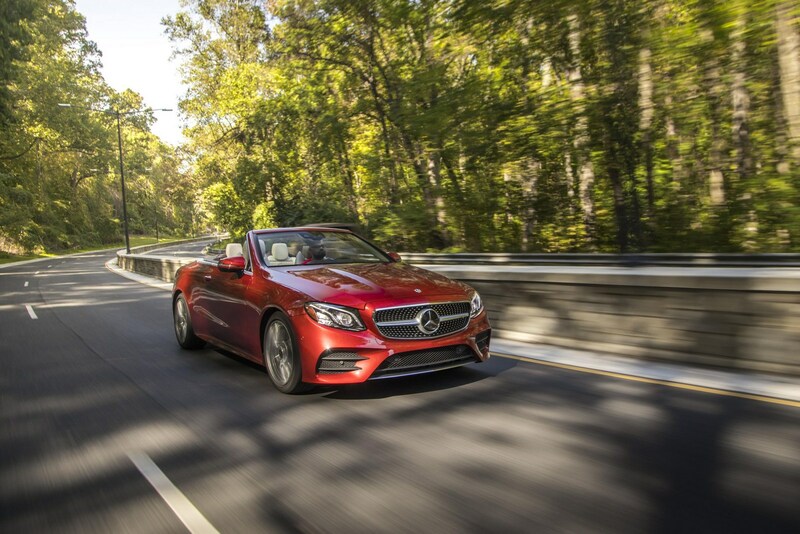 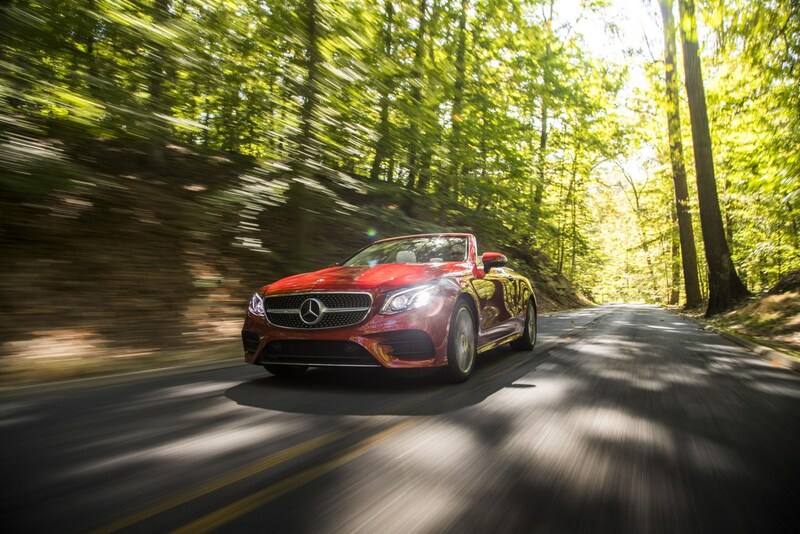 Customers can also order the E400 4MATIC Cabriolet which retails for $68,800. 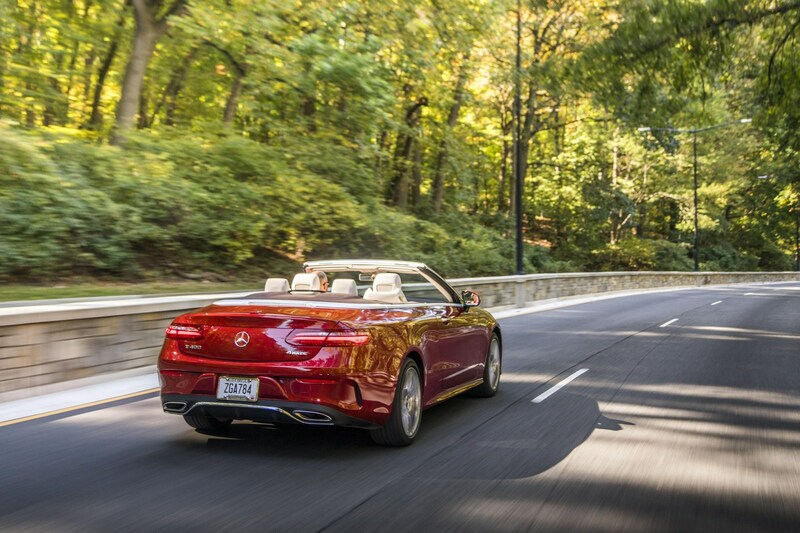 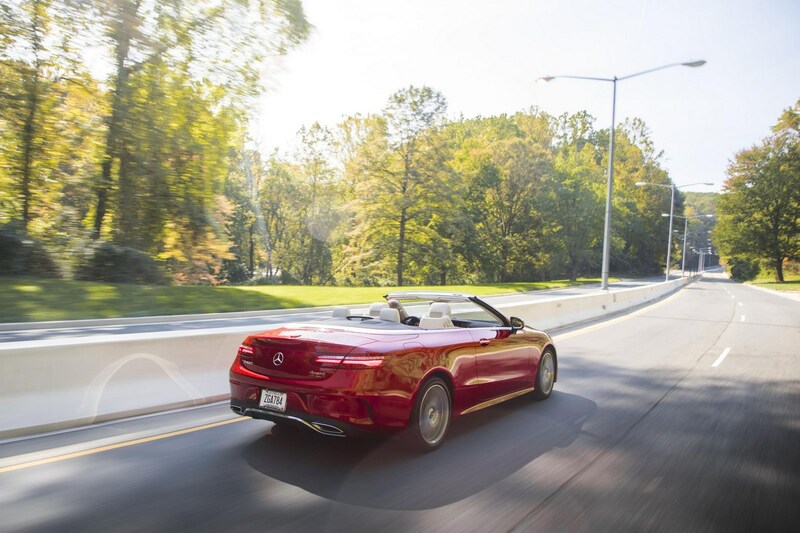 It has the same engine as the standard model but the addition of all-wheel drive enables the convertible to run from 0-60 mph in just 5.3 seconds.